When it comes to dealing with the mainstream media, President Donald Trump pulls no punches. This was music to the ears, figuratively speaking, for many of his supporters. Now, with the launch of our latest parody song, it can be music to their ears literally as well. 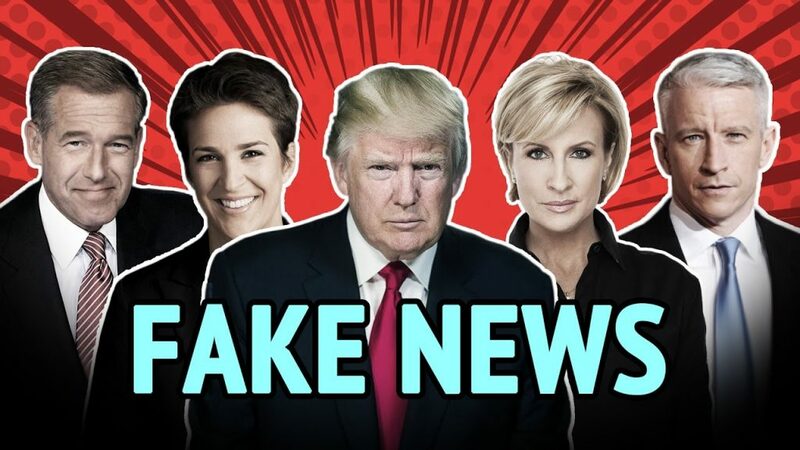 Introducing “Fake News Remix – Donald Trump vs. The Mainstream Media,” a satirical song/video highlighting President Trump’s dressing down of the dishonest press. With vocals performed by Donald Trump himself, and guest starring prominent members of the fake news glitterati like Brian Williams and Rachel Maddow. My star family told me Trump is a President in America, so the real progress shows me that it is not joking, since than, I consider I should do something in my last time. Therefore, I start interesting on politics, the real focus point is Trump, to look what he will do next, and how he react……. The trouble with Trump, is that he already was “Compromised” long ago so that he will never deal with that so-called “Swamp” he was supposed to be draining. The media is still covering up what’s really happening, and there is nothing he can do about it from WHERE he is. As the old sayings goes: “Talk is Cheap…ACTION get things done”. Ha. Ha. I love it! I have no respect for people who lie for a living. They sold their souls to the devil, We have been living with so much lies surrounding us that many of us have come to consider lies as truths, Trump is not perfect just like the rest of us but I admire his candor. If the Deeo State does not completely derail him, he may actually be able to bring in some life-changing reforms, If he can manage “full disclosure”, that alone would completely revolutionize this planet. May he be protected. This video should’ve featured Anderson Cooper’s infamous eye roll! It would be funnier. ALL of Trumps statements about the media are meaningless unless THEY are stopped from LYING too us as soon as they open their mouths. THAT has NOT happened…YET. I see a “Government” becoming “Exposed” for WHAT they truly are with all the in fighting obviously ongoing right now between themselves.